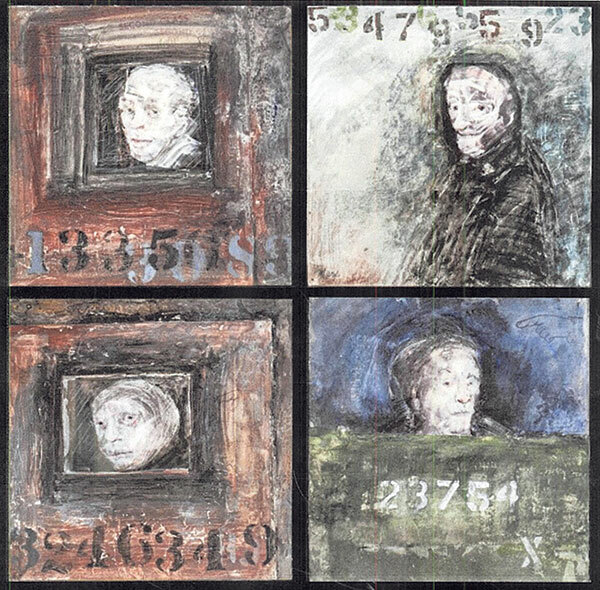 Paintings by Marcia Marx that have been gifted to the Holocaust Council of Greater MetroWest. A group of more than 25 paintings and one piece of sculpture created by a Newark-born artist has been added to the permanent art collection of the Holocaust Council of Greater MetroWest. 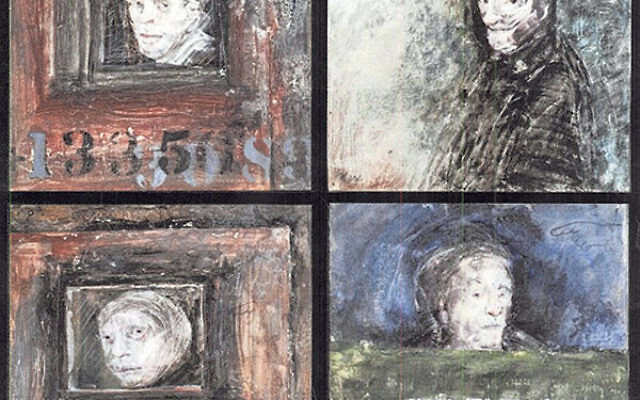 The pieces in the collection, titled “An Interpretation of the Holocaust,” are the works of the late Marcia Marx, who attended Weequahic High School in Newark, Yale University’s School of Art, and Columbia University’s School of the Arts. After completing her studies, Marx moved to Mexico City, where she lived for more than 10 years and received her inspiration for visual imagery from such well-known painters as Diego Rivera and Frida Kahlo. Her brother, Kelly Marx of Short Hills, inherited her work after his sister died of cancer in 2005 at the age of 74. “It is a major job my sister had done,” he told NJ Jewish News in an April 14 phone interview. “The works had been in storage, and I thought, ‘What a waste. They should be out for people to see, especially here in New Jersey, because she began her career in Newark,’” he said. Marcia Marx’s paintings and sculpture will join a previous donation of nine paintings last December by a Polish survivor of the Shoa, Yonia Fain, thanks to a gift from the Hofstra University Museum on Long Island. After fleeing the Nazis in 1939, Fain became part of the Jewish community in Shanghai, where he earned his living as a portrait painter. Wind said she is gratified that the Holocaust Council is being recognized as a deserving destination of works by artists who were notable figures in the art world. A major exhibit of the Marx and Fain works is planned for October in the Gaelen Gallery West on the Aidekman Jewish Community Campus in Whippany, where the council is headquartered. Wind added that a representation of the works of both artists will be on permanent display in the Wilf Holocaust Memorial on the campus.